and one with embroidered linen (more difficult, especially since it had a geometric pattern I had difficulty making everything line up properly because the fabric itself wasn’t 100% lined up to begin with). Choose your fabric wisely. I used this tutorial from Centsational Girl to get me started then made a few tweaks of my own. Determine the size your finished shade will be and add about 4 inches to both the height and width for seams. I like the trim around our windows and didn’t want any of it to be hidden behind the blind so I made a shade that was mounted inside the trim. If you want to make your window appear bigger (or you’re not crazy about your trim) you can mount the blind above the trim right onto the wall and as high as you want the window to appear. 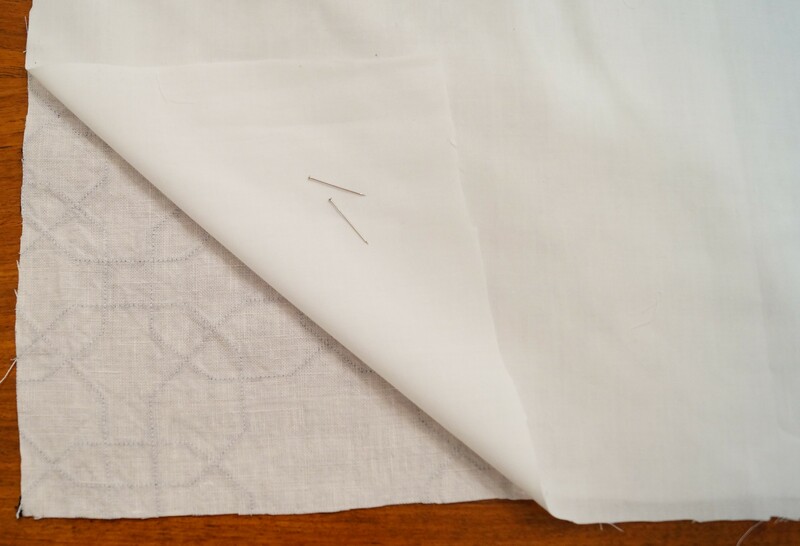 Cut your fabric and liner, lay the liner on top of the fabric. 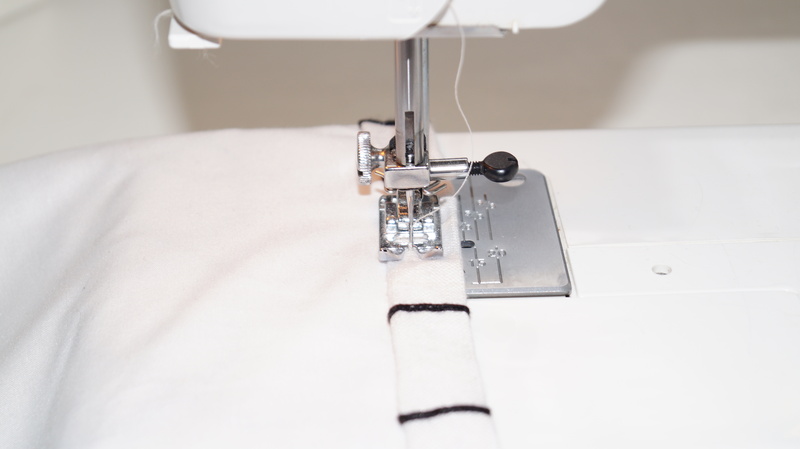 Now go ahead and stitch all your vertical seams (everything you just pinned). Fold, pin, press and stitch the top and bottom seams. 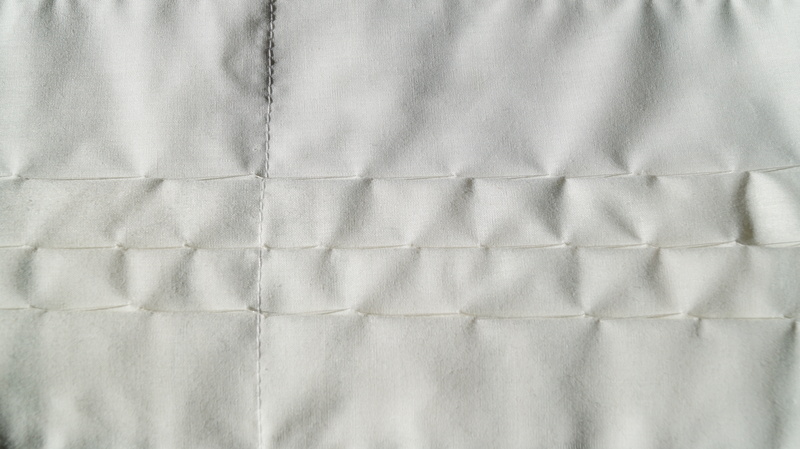 Where the folds are – when roman shades are only pulled partially down (which is how this shade will look) the folds are all concentrated at the bottom, not equally spread out throughout the blind. I spread them out evenly at first then knew it looked wrong as soon as I hung it. Height of finished blind – Normally I would have the blind come down 1/3rd of the window as this is the most pleasing to the eye, however, we have double hung windows so there is already a horizontal line cutting the window in half. In the interest of not breaking up the window any more, I had the blind come down half way. 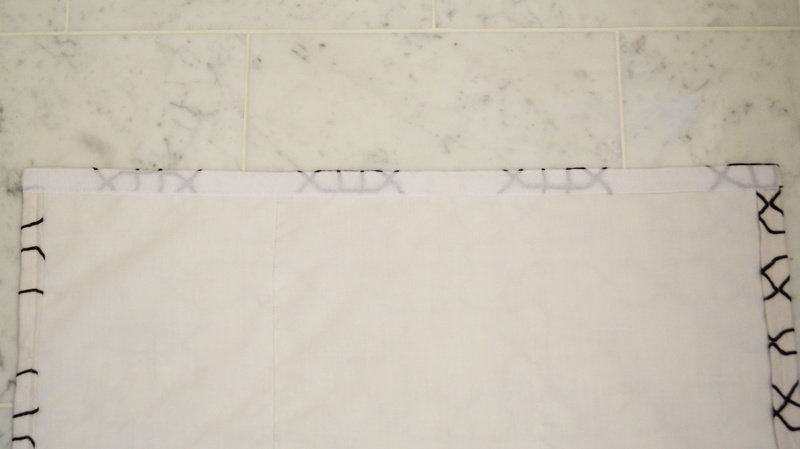 Hand stitch your folds in place at the back of your blind. I attached Velcro to the top of my blind. This makes it easy to remove it for cleaning. Cut a piece of wood (I used a 3/4″ x 1/2″ piece) the same width as your blind. Paint it to match your trim. 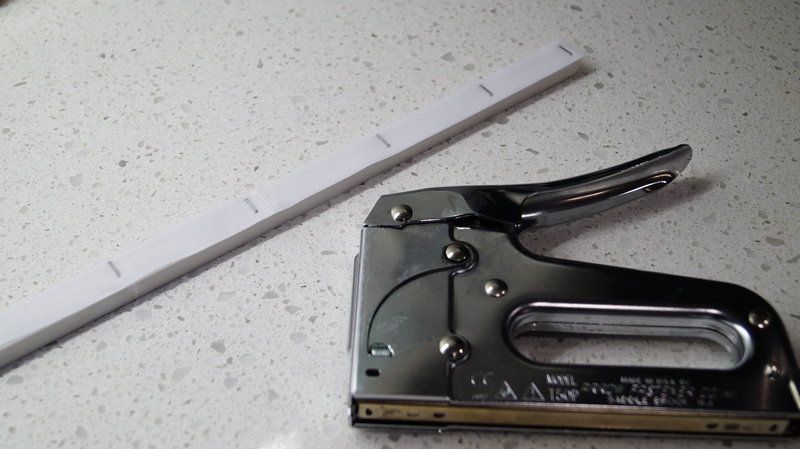 Staple the matching piece of Velcro onto one side and screw or nail into your trim. I tried to use screws but it just split the wood so I nailed mine in. 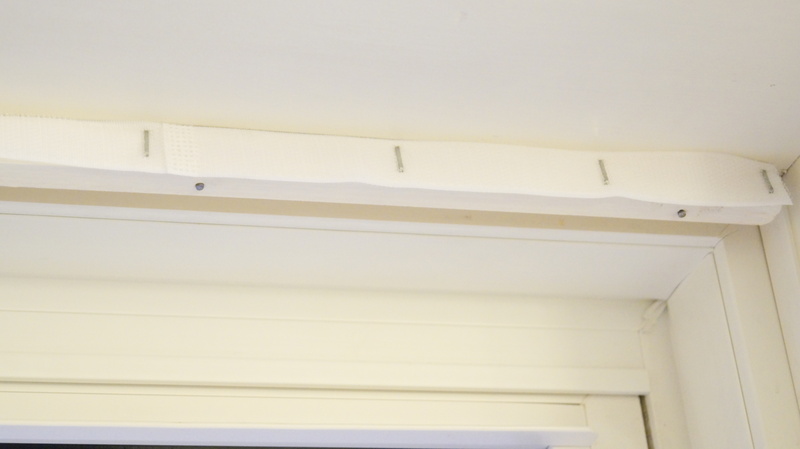 Insert wooden dowels (cut to the width of your blinds) into the folds. This helps it keep its shape.